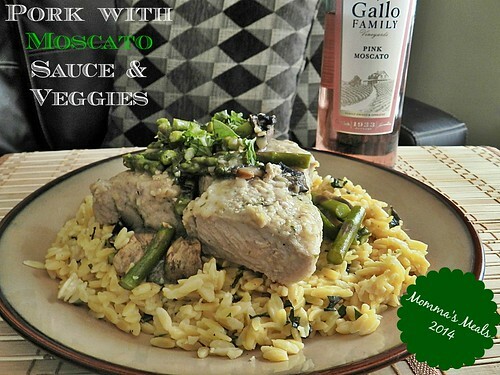 #SundaySupper is partnering up with Gallo Family Vineyards again this week. I’m also happy to share with you all that Gallo Family Vineyards is the Official Sponsor of the Sunday Supper Movement. How exciting is that? I had the pleasures of working with Gallo back in December, I paired it with my Easy Cranberry and Bacon Stuffing with Moscato. 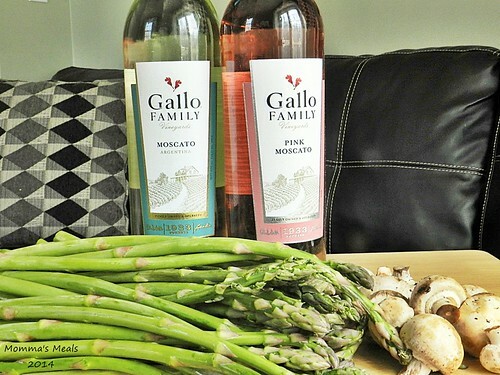 May 9th is National #MoscatoDay and Gallo Family has three different kinds they would like to share. A White Moscato, Pink Moscato and Red Moscato. They have all become a favorite within my family, choosing one is just not an option. You have to try them all. Let me tell you a little about each of the Moscato varietals so when you have your next gathering you’ll know which one to buy. Click here for a store locator and here for a digital $1 off coupon! However, I recommend picking up all three of them so everyone can have a taste and choose their favorite! White Moscato: The flavor of honeyed sweetness is a great contrast to a spicy Asian or Mexican dish and also complements deserts as well. Pink Moscato: It’s paired well with all different kinds of spicy dishes to every day desserts. It has tastes of fresh citrus and peaches followed by hints of fresh red berries and orange blossoms. Red Moscato: This refreshing wine is best-enjoyed chilled and paired with light cheeses, spicy cuisine or desserts. It brings out flavors of sweet citrus and peach, with a bright red berry finish. When choosing my recipe for today I used the above descriptions to figure out which Moscato would be just right. I wanted to make a sauce, I wanted to use either pork or chicken and I also wanted some Spring veggies in it. I ended up choosing the Pink Moscato because I liked the hints of citrus and peaches. I thought it would go great with how I seasoned my pork. This is where you can really use whichever Moscato you see fit for your dish. I added red pepper flakes to the sauce because I wanted to add a kick; I thought the sweetness of citrus and peaches would help balance it out. The taste of the asparagus and mushrooms after I deglazed the pan and thickened the sauce was out of this world. I actually made this dish twice, once with chicken and once with pork. I liked them both! I love how cooking with wine on the stove top keeps the meat really moist and flavorful. I didn’t add an actual amount to the seasonings below because making it to your liking is the best part. Feel free to skip the red pepper flakes, my family loved the kick it added. Also the sauce doesn’t have to be thickened, I thicken it when I made it with the pork and we really enjoyed that addition. Season pork with salt, pepper, and garlic powder. Melt the butter in a large sauté pan set on medium-high heat. Once it’s almost melted add the pork medallions and allow to brown on each side, don’t cook through. Set aside on dish. Add the broth, wine, mushrooms and asparagus and scrape the bottom of the pan to remove any bits and pieces from the pork. Season with red pepper flakes and 2 tbsp of fresh parsley. Turn the heat to high to cook veggies and let it come to a boil. Meanwhile, in a separate small bowl (I use a small mason jar) make your cornstarch/water mixture by adding the water to the cornstarch and whisking really well (shaking it in a jar really helps this process). Pour it into the pan and stir together allowing it to boil a bit longer. Once you see it start to thicken add the pork back in and turn your heat to low-medium allowing the pork to finish cooking, about 8-10 minutes. Serve over your favorite pasta, rice or risotto dish. I served it over a new recipe I tried a few weeks ago Parmesan and Basil Orzo. It went really really well together. Don’t forget to connect with Gallo and read more about their family and wine. I love pork tenderloin and what a great sauce to go with it. Nice to have the veggies incorporated in the dish too. 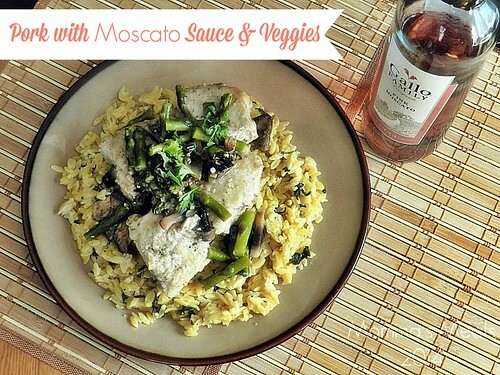 I love that you used the sweet pink moscato wine to make a fabulous sauce! This looks delicious and I think I’m gonna have to give your recipe a whirl this week! Yummy!! This looks perfect for a #SundaySupper. I love all of the added veggies in the dish too! Looks like a great and easy meal during the week! Love pork for dinner and the sauce to go with it. It actually was really easy to make! Now that I think of it, I made it twice and both times for a weeknight dish! Oh my, this looks DELICIOUS!!!! Such a great combination of good things here. This meal looks fantastic. I love how you integrated the wine into the recipe. That tea towel is adorable. Pinning! HAHA Thanks Jennie it was a housewarming gift and it gets used A LOT!! I am always looking for new recipes and can’t wait to try this one! I always think chicken with wine, never pork! This looks so amazing and wow I want have some right now! Love all of those added veggies on top! 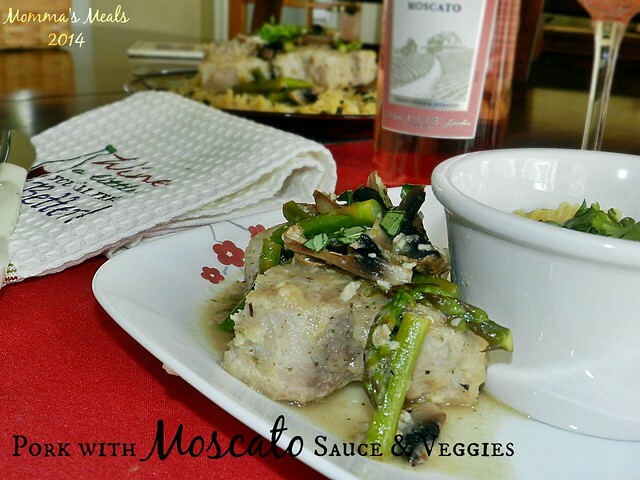 I think that Pink Moscato sounds perfect with pork tenderloin! Looks great! I love the addition of asparagus and mushrooms! I am loving the Moscato pairings with pork. It sounds like such a great combo! It’s an awesome combo Courtney! You’ve got to try it!! Yum that looks good! I need to try that orzo recipe too! What a lovely and creative dish! I bet the Moscato is a delicious pairing with the pork. I love the idea of pairing pork with the sweet wine and your slurry is a brilliant idea too. That red moscato sounds so delicious, and I bet it paired wonderfully with your dish! Each pictures is more tempting than the last! Great idea to add a kick of spice to the dish, too. 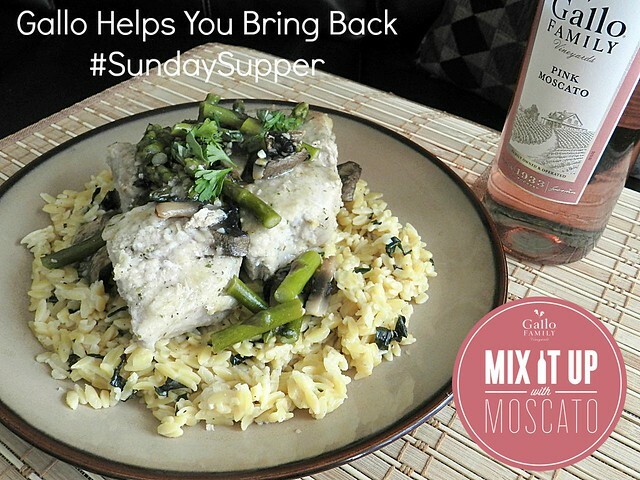 If this week’s #SundaySupper has taught me anything, it’s that I need to try out a recipe with pork and moscato, STAT!